"Dr Thiele is a wealth of knowledge and a class act." "Dr. Thiele is one my mentors and one of the greatest doctors I know." "Dr. Steve is a fantastic mentor and leader in chiropractic." "Dr Thiele is a great Doctor and you will be in good hands with his care!" "Dr. Thiele is an amazing Chiropractor with a big heart." "Dr Thiele is hands down one of the most gifted and dedicated chiropractors..."
"I think I cant live without Dr. Thiele's adjustments, its part of my lifestyle." "One of the kindest and giving chiropractors you will ever find." "Big improvement in my posture in just a few short weeks." "I have been going for about 2 months and I'm feeling SO MUCH BETTER." "I have had more energy since attending Dr. Thiele's practice..."
Dr. Steven Thiele of Thiele Chiropractic has provided chiropractic care for many Manchester, Glastonbury, Vernon, Bolton and East Hartford, Connecticut residents. 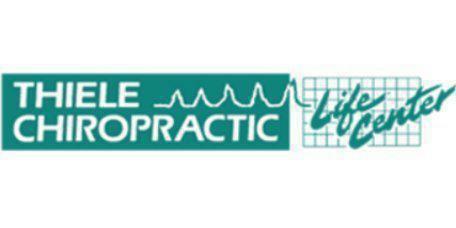 A well-respected chiropractor, Dr. Thiele is highly trained and offers a number of different services. Dr. Thiele earned his Doctor of Chiropractic degree from Palmer College of Chiropractic in Davenport, Iowa. He then completed a postgraduate internship at Gonstead Clinic in Mount Horeb, Wisconsin. Ever since he has been practicing clinically at Thiele Chiropractic in Manchester. Certified in extremity adjusting by Dr. Mitch Mally, D.C.
At his practice, Dr. Thiele helps patients who suffer from spinal stenosis, scoliosis, pinched, nerves, sciatica, bulging discs, lower back pain, and neck pain. I was having having a problem with low blood pressure during my pregnancy and Dr. Thiele has been keeping it under control and I thank him for that!" As long as I maintain the correction he has made in my spine i am pain free and functioning at my best. Thank you Dr. Thiele! His office is first class, the staff are absolutely delightful and I feel blessed that I was able to find a Chiropractor and office staff so able and caring. He give his very best to each and every patient. I would send all of my family members and dearest friends to him without reservation! Dr. Thiele is more than a chiropractor . His personal one on one care also involves the health and wellness of your entire being.
" I've had to see other chiropractors when I've been too far away from Manchester, and no one gives me the level of care like Dr. Steve." "I've noticed a huge difference in my ability to move. I can finally sleep at night! Dr.Thiele and and his staff are very professional and amazing at what they do!" "I have had more energy since attending Dr. Thiele's practice, allowing me to better take care of my own patients!"